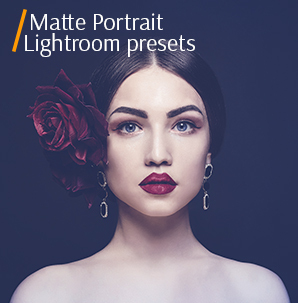 This bundle of Free Matte Lightroom presets was designed to give your portrait, wedding, street, travel, and newborn photographs a trendy Matte effect in several clicks. These Matte presets for Lightroom will make your photos gentle and more atmospheric having washed out the colors. Make your photos look as if they have been printed on matte paper. Our retouchers used all photo editing techniques to create these Lightroom Matte presets. You may use this bundle according to your artistic vision to satisfy your clients. These Lr plug-ins affect colors of your photos in such a way that they become slightly washed out, resembling the so-called “fade Lightroom effect”. This matte effect is very popular among fashion photographers and Instagram bloggers, so don’t miss a chance to download this bundle of 10 Free Matte Lightroom presets and make your images pop. There is no restriction on photo types, be it outdoor or studio pictures, as Matte presets add something special to each shot. But don’t expect to get the same effect as on the examples above, if you apply the filter to absolutely different images. Treat this collection as another chance to reveal your creative potential, go on impressing your clients with unique results and broaden your photographic skills. LR Preset #1 "Contrast Warm"
LR Preset #8 "Black and White"
Do you remember the times, when photographers spend many tiresome hours trying to create a matte look in Lightroom? Now you can simply choose the suitable matte filter and enjoy the transformation of your pictures in several seconds. 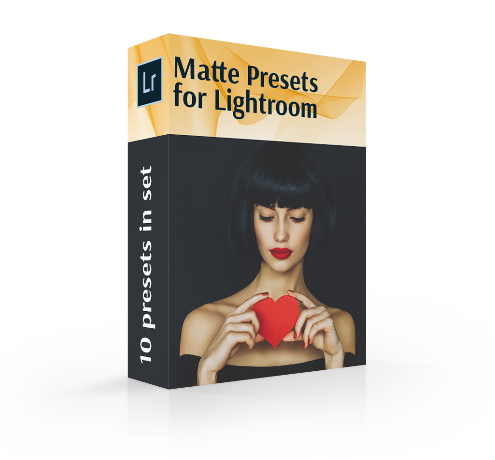 Our bundle of free Lightroom Matte presets contains 10 universal and customizable plug-ins, which are aimed at turning the image editing process into a pleasant activity. You don’t need to drag different sliders dozens of times until you get a desirable picture. Nowadays, the image editing takes several seconds. This is especially helpful for beginning photographers, who can’t boast of deep knowledge of LR software. Free Adobe Lightroom Preset #1 "Contrast Warm"
Think that your photo has too many shadows, which divert attention from the main subject? This matte look Lightroom preset will be really helpful. It is suitable for portrait images with many green or blue objects in the frame. Matte Lr Preset #2 "Vintage"
This Lr filter affects saturation, making the photo lighter. It is a perfect match for outdoor female portraits. Matte Lightroom Preset Free #3 "Cold"
Applying this Matte preset for Lightroom, you will get an image with muted, pastel colors, while cold tones become more prominent. You can try it with different photos, but the best result is seen on landscape images and outdoor portraits. Lr Free Preset #4 "Cool"
With this filter, your images acquire additional contrast and cold dark shades, which attract the entire attention to the subject. We advise experimenting with architecture, street and sunset photographs, but if you strive for more unpredictable results – apply this Lightroom Matte preset to B&W images. Free Matte Lightroom Preset #5 "Autumn"
Bring some autumn vibes and colors to your images with this professional Matte LR preset. It affects the overall coloring of the picture, making it deeper and more saturated, and accentuate even minor details, which is great for street and landscape images. Matte Lr Preset Free #6 "Pumpkin"
This preset was taken from "Matte Portrait"
Need to reduce color saturation? “Pumpkin” Matte Lightroom presets will be of great help. It mainly influences red, yellow and orange colors and is suitable for pictures taken in natural light. These are typically landscape and street photos. 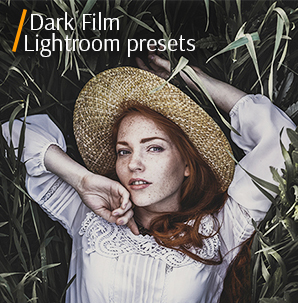 Adobe Lr Preset #7 "Film"
Primarily affecting the skin tone and facial features, this filter is a perfect match for studio and outdoor portraits. It makes the pictures brighter and livelier. Lightroom Free Preset #8 "Black and White"
This preset was taken from "Black&White Essential"
A matte mood and classic black and white look in one preset. Use it for portrait and macro photography if you want to create a more refined photo. Matte Lightroom Preset #9 "Retro"
This Matte preset suits all photo styles, giving your images retro feel. You will get a hazy picture with the harmoniously blurred background. Free Matte Lr Preset #10 "Sepia"
This preset was taken from "Sepia Fantasy"
Shooters apply Sepia filters to imitate changes that happen to images over time. If you combine matte and sepia effects, you will get even more meaningful shot with a retro vibe. The plug-in works perfectly with any photo without many bright colors. Using any matte filter, you get a chance to improve photos, preserving their original concept. We offer non-destructive presets that work in any Lightroom version for you to turn the dullest picture into a captivating shot. Though some photographers believe that Matte Lightroom presets are a win option for portrait and still-life images only, you may apply them to many other projects and get truly awesome results. They are equally effective for landscape, beach, wedding, newborn, and fashion photography. Everything depends on the artistic idea you want to realize. 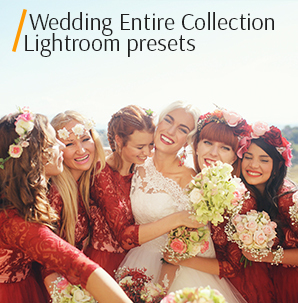 Wish to get even more Professional Lightroom Presets for deep color correction? Visit FixThePhoto website and choose what you like.